A cleanse is an accelerated program that is referred to as a “liquid feast”. You may opt to do a 7 Day Cleanse. However, these products are wonderful to incorporate into your Daniel Fast or 21 Day Cleansing Fast. Great information can be heard on previously recorded Cleanse Calls by clicking any of the Play buttons to listen to exciting discussions about the InnerLight 7 Day Cleanse. I also recommend the following books as resources to make your fast even more effective: The Fasting Edge by Jentezen Franklin and The Ultimate Guide to the Daniel Fast by Kristen Feola. Understand this period is a “feast” and not a “fast”. This is not a program of deprivation. It is a program whereby you feed your body nutritionally-dense and chlorophyll-rich foods in a pureed or juiced form allowing us to mitigate the stress and loss of energy that comes with digestion. This, along with prayer, journaling and the proper supplements, will help clean out the digestive tract and provide the body the opportunity to use the energy that is generally used for digestion to be used for rebuilding our bodies, mind and spirit to be better and healthier. On this cleanse we get to feed our bodies better than we ever have before, where the food is already predigested (pureed or juiced). We have categorized what products to order by “Good”, “Better”, & “Best”. 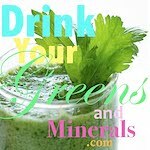 SuperGreens™ & Prime pH go to work eliminating acid wastes from the body. Prime pH is an oxygen catalyst in the bloodstream. 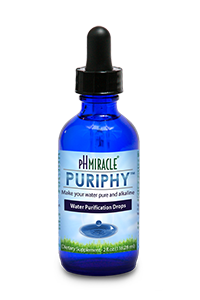 This formulation has been shown to have an alkalizing, neutralizing, oxygenating and pH balancing effect on the body. MycoDetox 1 & 2 - This powerful cellular detoxifying and purifying team protects cells from mycotoxins created by bacteria, yeasts, fungi, molds, and also by alcohol and cigarette smoke. Fibrada - Provides necessary daily fiber and helps the digestive system eliminate toxins and wastes. Earth Essence Clay provides an impressive assortment of minerals, including calcium, iron, magnesium, potassium, manganese, sodium and silica -- Due to it's large surface area, it has the ability to absorb and adsorb toxins. Caprilenic - Caprylic Acid and Undecylenic Acid naturally and effectively control yeasts, fungi, and molds. Spectrazyme - This dual-purpose formula controls a wide spectrum of bacteria, yeast and fungi as well as helps the body digest proteins, fats, and carbohydrates. Catalyst Complex - Rhodium and Iridium help cells recover from damage caused to their communication system by acidic mycotoxins. 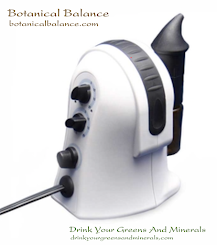 Noni II - Nature’s “master catalyst,” the Noni fruit helps cells better absorb and utilize nutrients. B-Complex - Enzymes in these vitamins catalyze the body’s natural fuel-burning process in cells. Silver Plus - The essential trace mineral Silver acts as a catalyst, disabling the enzymatic process that many bacteria, fungus, and molds use for their metabolism. It also acts as a catalyst for the creation of healthy, new cells. You have the option of paying Retail, Preferred or Wholesale prices for the above options. The best way to buy is to sign up as a Preferred Customer and get on a minimum $40 a month automatic shipment. 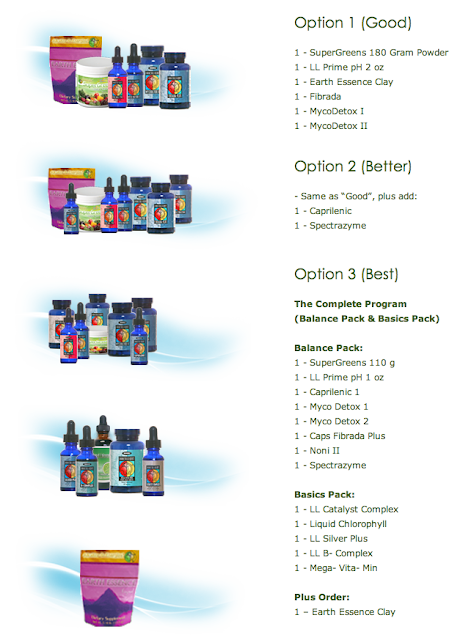 This will allow you to buy InnerLight Supplements at wholesale prices (25% discount). Contact me so I can explain these options to you or select Preferred Customer from the menu at the top of this page. If you’re not clear about the program schedule an appointment for me to speak with you using the Appointron posted to the right selecting Fasting & Cleanse, Consultation, or send an email to sdix.preferred@innerlightinc.com. We will help you. Orders can be placed by calling 1-203-548-0377, 9:00AM – 5:00PM Central Time.